‘Love’ is a recurring urban theme in Helsingborg’s lighting design. 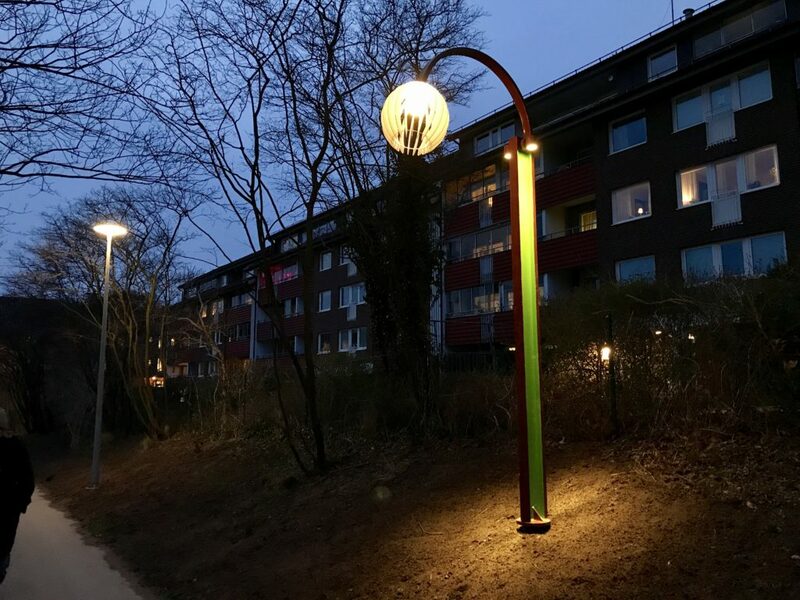 The city of Helsingborg has identified two different pedestrian roads that are dark, unsafe and in close proximity to each other, to develop new lighting solutions for. Since 2006 the municipality of Helsingborg has been working with safe environment in many different ways. They have now reached a point where they would like to explore different ways of solving the problem. 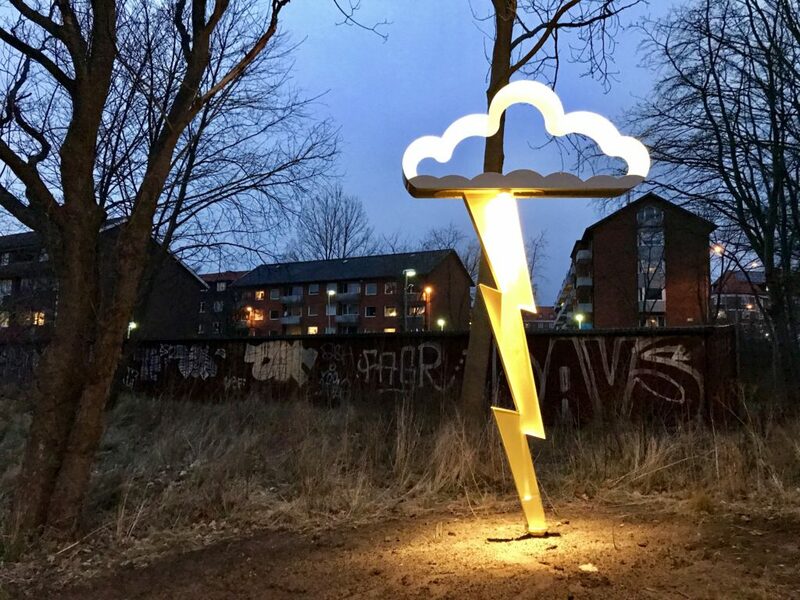 In 2018 Helsingborg Municipality will arrange a big light festival. During these two weeks our goal is to present new safe and attractive solutions, that will be pioneering in their way of working with light. 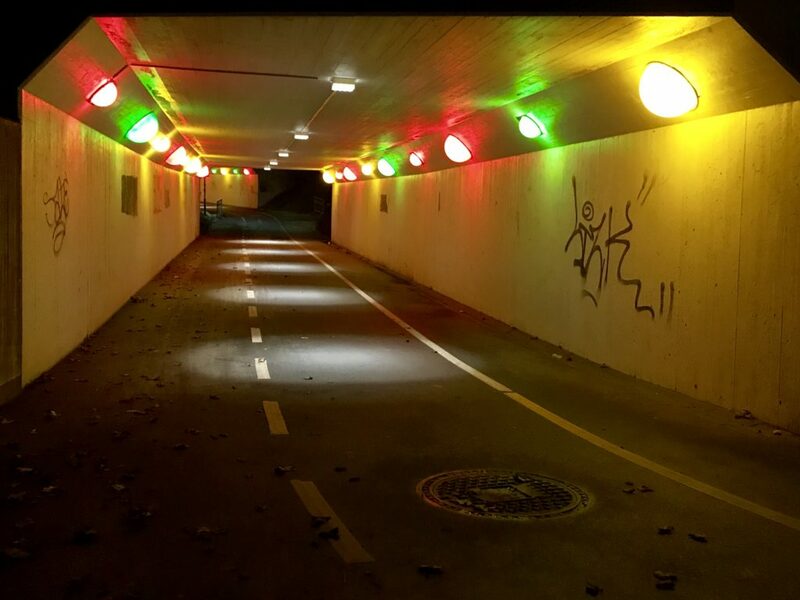 Every year we are working with a different neighborhood and are measuring the feeling of secureness – this year one neighborhood has been especially distinguishing and we have identified two different pedestrian roads that is very dark and unsafe in rather close distance to each other. Helsingborg has an area in our city central that is unsecure and rather worn down and the municipality is looking for solutions that makes people focus on the art, light and sound and make the citizens feel home, instead of being afraid when they are staying at, or passing through, the areas. (see picture of Site 1), as well as promoting people to use their bikes more while keeping bicycle accidents down. The area is in the south part of central Helsingborg. It is a place where many people with different backgrounds, many young people and rather poor people live. Drugs, weapon and threat is an everyday issue here. 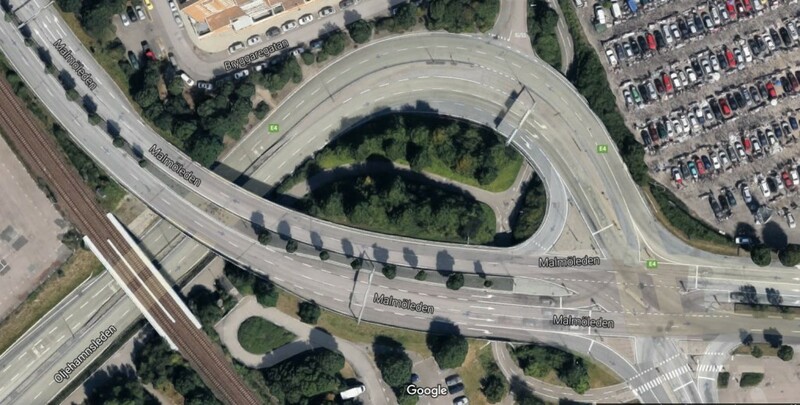 Location example in Helsingborg, where concrete tunnels take cyclists under the heavily trafficated roads. 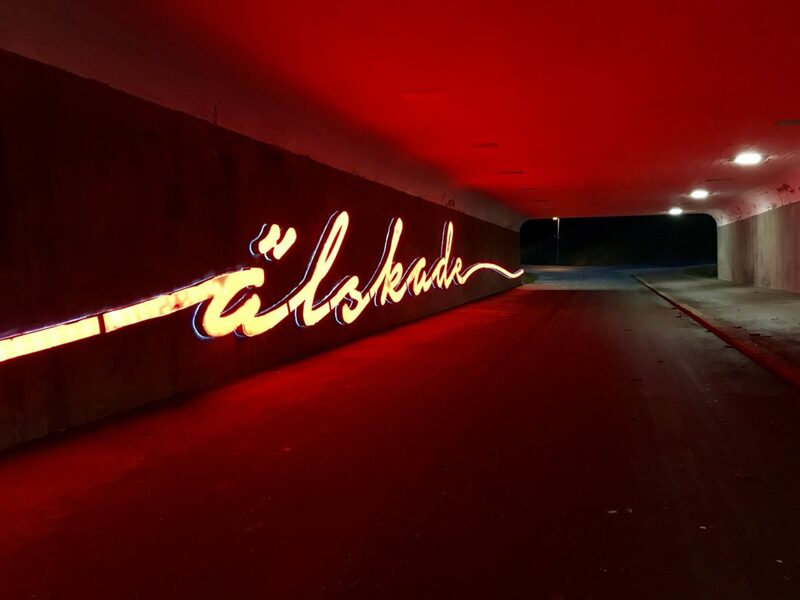 The installations are completed and were formally opened as part of the light festival ‘Drömljus (Dreamlight), in February ’18. Installations are visitable. Please contact Josette Dahlin for enquiries regarding guided tours, or more technical information about the work and solutions.